This is still a part of my black and white series on Facebook. I took this photo a few years ago. 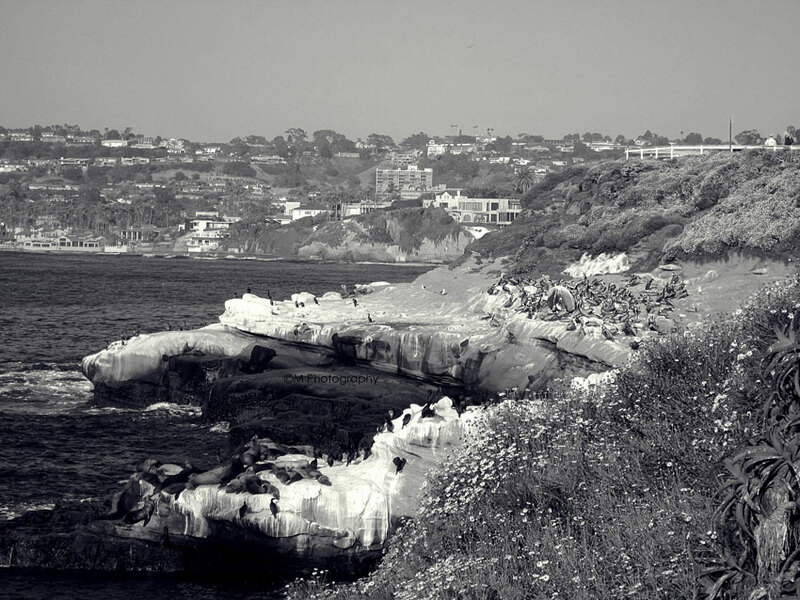 The seals at La Jolla cove look cute from a far, but some say that the mammals can be quite aggressive and territorial. Some swimmers were reportedly bitten. I can't blame them. Just like us, they feel the need to protect their area, I guess. I still think they're cute even if they're far too loud and smelly.